The MAF sensor is used by the engine control module to measure intake air volume for use in calculations to determine fuel and timing. Over time particles in the air build up on the MAF sensor wire, and need to be cleaned off. Cleaning them is very quick and painless, just be sure to use the proper chemicals. Note: Just a warning for other car models. If your car has a Karman Vortex style MAF, it cannot be cleaned. Karman Vortex MAF's are constructed quite differently and are generally easy to identify. 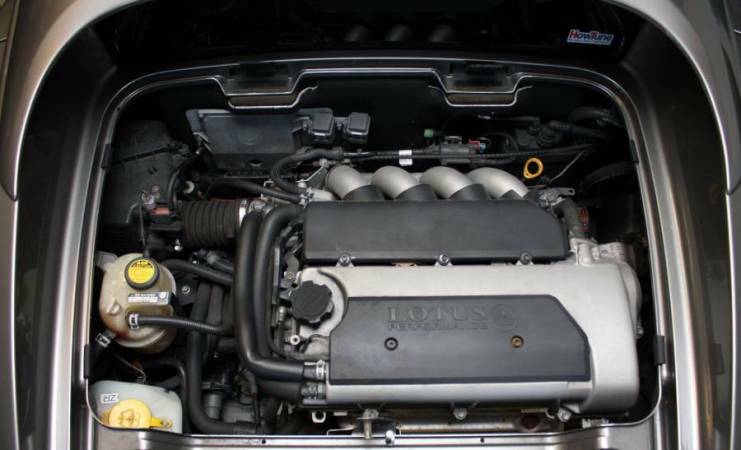 They are used on Toyota Supra Turbos, Mitsubishi and most Lexus vehicles. 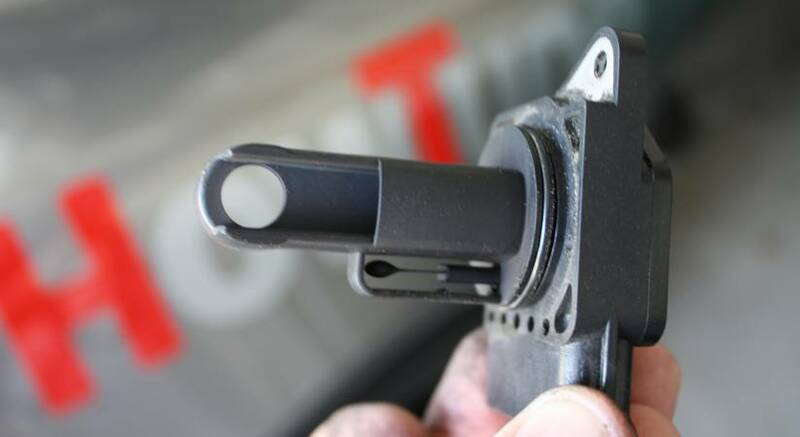 The MAF sensor is located on the on the intake between the air filter and the throttle body. On the Lotus Elise it's on the rear side of air intake box next to the coolant overflow tank. The MAF Sensor is held on with 2 Phillips head screws. 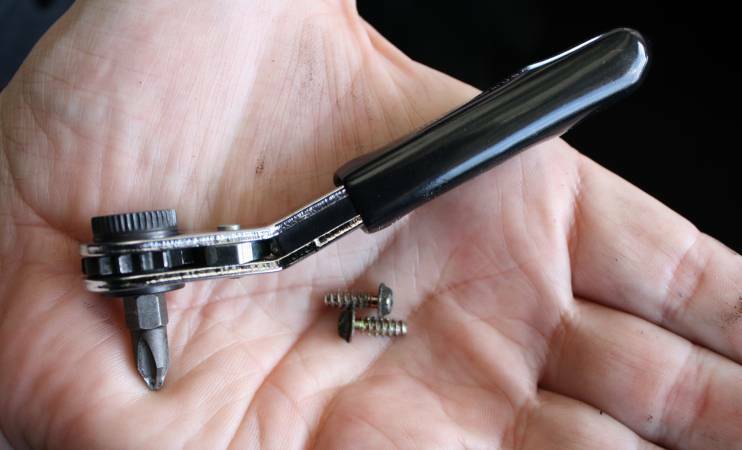 The Elise doesn't have enough space between the coolant overflow and to use a regular screwdriver, so I used this trick little angle ratcheting tool. The MAF sensor should just pull straight out of the intake. You can see the what is inside the intake tubing below. Locate the sensitive hot-wire anemometers in the MAF. They are actually pretty deep inside the housing. 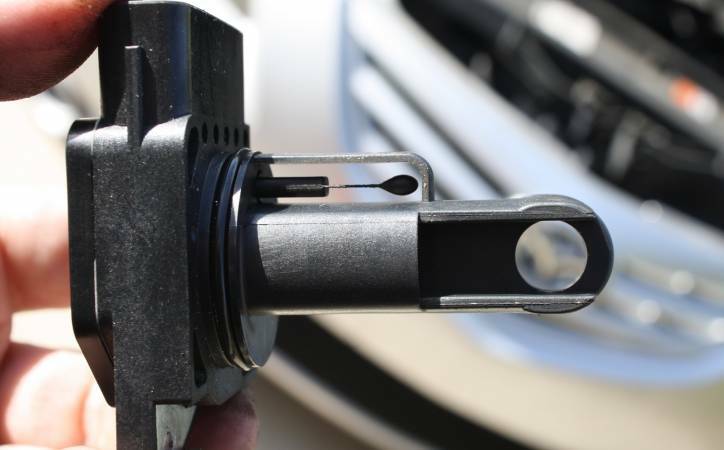 There is another wire that is easily visible, that is the intake air temperature sensor. 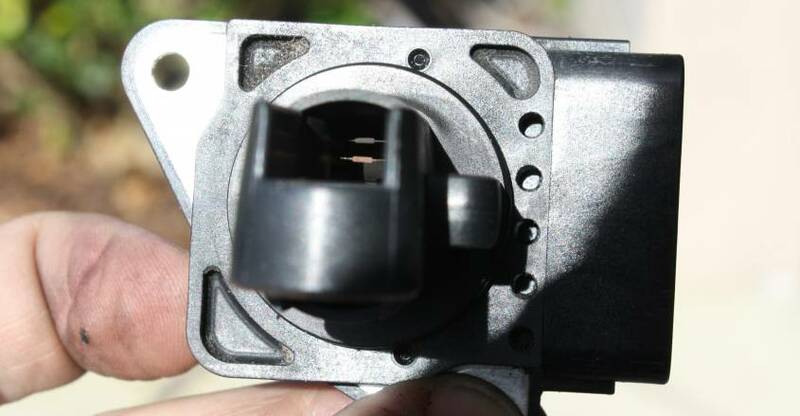 This is the much easier to see intake temperature sensor. 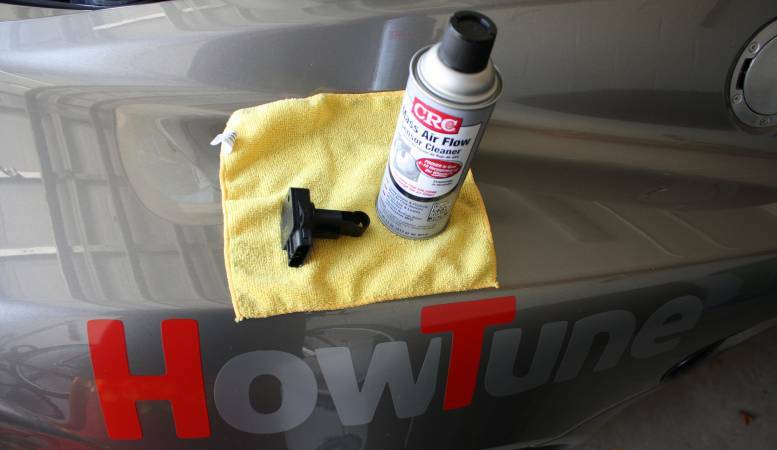 Use CRC Brand Mass Air Flow Sensor Cleaner. Don't use any cleaner that isn't designed for MAF sensors. Spray it into the MAF sensor housing, a few short blasts into the passage where the wires are should clean them. Do not touch the hot-wire anemometers with anything but cleaner. You can also spray the temperature sensor and the harness connectors if you believe they need to be cleaned. 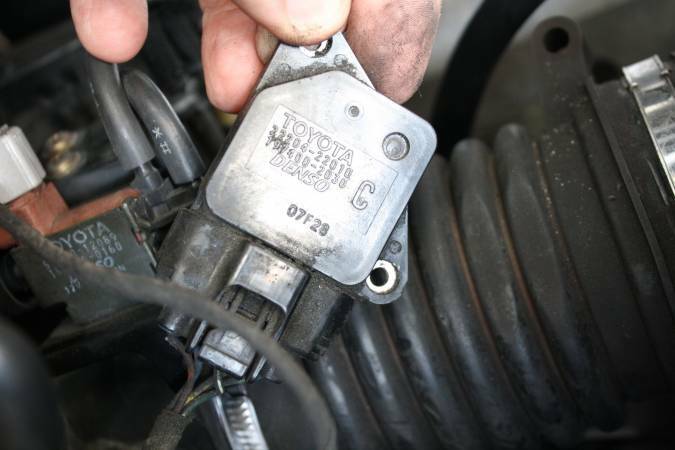 Once you're done spraying the MAF Sensor wires, re-install the MAF Sensor into the intake and reconnect the wire harness.